Evidence-based Medicine: What's the Buzz? 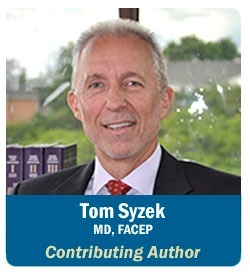 Healthcare is all abuzz about evidence-based medicine (EBM), and legions of clinicians are struggling with how to incorporate EBM into the new paradigm of providing the safest possible high-quality healthcare in the most efficient manner. The failure to follow well established national guidelines or expert consensus entails a certain degree of risk. Without rock-solid science, a guideline or expert opinion may be proven wrong with continuing research. On the other hand, these recommendations are useful tools and good guides. Deviation from this “norm” may result in criticism and potentially legal battles over what was “reasonable under the circumstances.” National guidelines, expert consensus, and even textbook recommendations can carry a good deal of weight in the courtroom, despite caveats stating that guidelines are not meant to define the standard of care. There are other recommendations that are based on common practice, case reports, and inadequate research data. Ironically, this may be the largest category of all, encompassing much of day-to-day medical practice. Why do we repeat very abnormal vital signs? Because it is good medical care and persistent vital sign abnormalities suggest abnormal physiology and the need for further investigation. Will we ever see a large randomized trial with one study group with very abnormal pulses sent home and another admitted for evaluation? Unlikely. Practitioners should understand the current state and strength of the medical evidence and the associated recommendations. The problem is that this is much easier said than done, particularly in emergency medicine, urgent care, primary care, and other specialties that encompass the full breadth of human health. Patients present with every imaginable complaint that requires a current knowledge base that is enormous and beyond the capability of most humans! 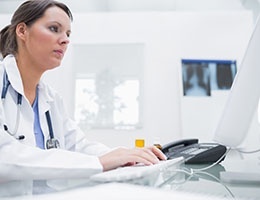 Clinical decision support that utilizes evidence-based medicine, especially when integrated into the electronic health record for use at the point of care, will be invaluable to the 21st century practitioner. If there is a strong evidentiary basis for an evaluation or treatment strategy, practitioners should utilize it. If there are large studies with strong study designs, perhaps with follow-up validation studies, practitioners would be wise to have a front-of-mind awareness and incorporate these evaluation and treatment strategies into practice. From a medical-legal perspective, this would seem to come very close to what a jury would consider "what the reasonable practitioner should do under the circumstances." It is a well-recognized national guideline. There is a strong evidence-based analysis leading to an expert consensus. It is a recommendation following a systematic review from a well-respected organization such as the Cochrane Group. If a practitioner, a group of practitioners, or an organization has decided to take another clinical path, it would be wise to make that clear in a treatment or management protocol rather than leave the potential consequences on the shoulders of an individual practitioner. The controversy over the use of thrombolytics for stroke would be an excellent example. Case reports, texts, and common practice provide a range of tools; some are critically important (e.g., repeating abnormal vital signs and trending vital signs); others don't actually have much support (e.g., heparin for TIA and stroke). Risk and safety recommendations from The Sullivan Group will run the gamut from the strongest medical evidence to those that have never been studied medically, but may have a dramatic impact on patient safety, peer review, state disciplinary proceedings, and obviously in medical malpractice litigation.